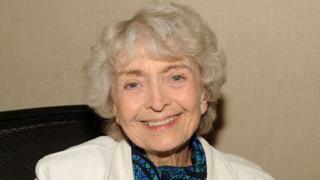 US actress Diana Sowle has died at the age of 88. She was best known for her role as Mrs Bucket – Charlie’s mother – in the 1971 film Willy Wonka & the Chocolate Factory. Her representative confirmed that the actress died in the early hours on Friday “with family by her side”. The Willy Wonka movie is an adaptation of the Roald Dahl children’s book Charlie and the Chocolate Factory. Sowle memorably sang Cheer up, Charlie in the 1971 film. She was one of the last surviving adult cast members, after Gene Wilder – who played Willy Wonka – died in 2016 from complications of Alzheimer’s disease. Remembering Gene Wilder, Sowle said in an interview: “We’d be working on a scene and having a lunch break and he would be coming in to film another scene, and he would join us on a lunch break and we’d have lunch. The actress starred in two other films – both in 1994 – when she appeared in Clear and Present Danger and Guarding Tess. She also voiced Agatha in the 2008 video game Fallout 3. Sowle frequently performed in the long-running murder mystery play Shear Madness, playing socialite Eleanor Schubert.